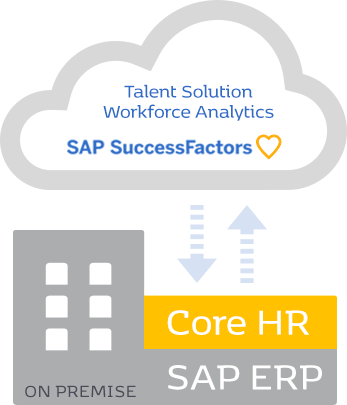 Whilst many organisations are switching to cloud based technologies such as SAP SuccessFactors, some organisations are either unable to move fully to cloud or want to maximise their investment in their ‘on premise’ HR and Payroll solutions but want to benefit from SAP SuccessFactors award winning talent modules. As such, Gavdi is able to provide what SAP call a ‘Hybrid’ solution where organisations are able to combine their ‘on premise’ HR and Payroll data with SuccessFactors talent solutions using ‘standard’ SAP Connectors. All ‘sensitive’ employee and organisational data is held behind the organisation’s own secure firewalls – the organisation is responsible for data security. The organisations is able to continue to leverage their investment in SAP ‘on premise’ technology.